It is astounding to me that The Barn in Castle Rock, Colorado is over 14 years old. It seems just like yesterday. I guess time flies when you are having fun! Of course back then there were tumble weeds blowing down Third Street on Sundays and we could actually see The Rock from the front of the building…but no more. I remember signing a lease to start this business with the hopes it would survive the 1st year….well, with the exception of a few blips, it has survived just fine. 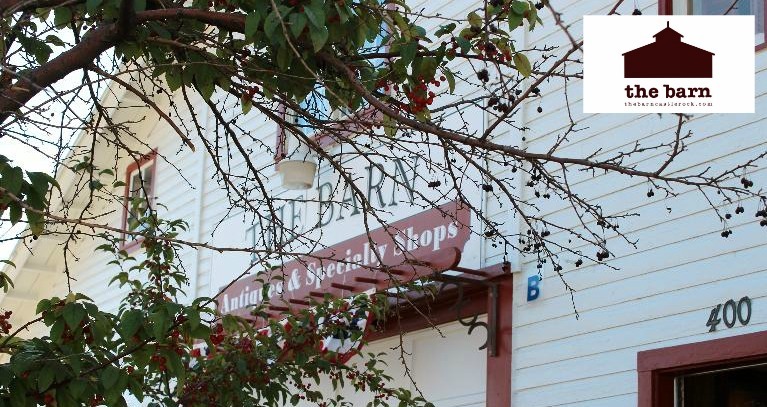 Back then The Barn was called “On The Square Antiques and Specialty Shops” and it was quite the ‘party central’. I had a crazy Landlord who believed in my business venture and supported The Barn getting as much attention as possible (positive and/or negative). Everyone is correct, ya know, that any attention is good attention! One of the most attention getting things about The Barn at this time was the fact that it was the only establishment in Castle Rock that could sell wine on a Sunday. I had researched and found a loophole in the liquor laws (straight out of the end of the prohibition) that allowed The Barn to provide a tasting room (and sell wine) under a liquor license from a Colorado Winery. In other words, Colorado wineries had one “off site” license that they could use to promote their wine throughout the state. This rather obscure law came into being because during the Prohibition Era most of the Colorado vineyards were destroyed in favor of growing something that was ‘legal’. When prohibition ended and the wineries started trying to produce again, the State of Colorado gave them the opportunity to sell/taste their wine at one other sales room location (seven days a week) under their original liquor license. Well, this was a tremendous way for The Barn to promote Sunday sales…people wanted to buy liquor on Sundays and we were still not able to do so in the State of Colorado. Well, needless to say, we had scores of people coming through The Barn on Sundays…tasting and buying wine. Let the shopping party begin!! Of course it would be expected that the local liquor stores were NOT very happy with me…oh well. My crazy Landlord said to me: ”Geez Catherine, you sure know how to stir up trouble in a small town”…ya darn right I do! 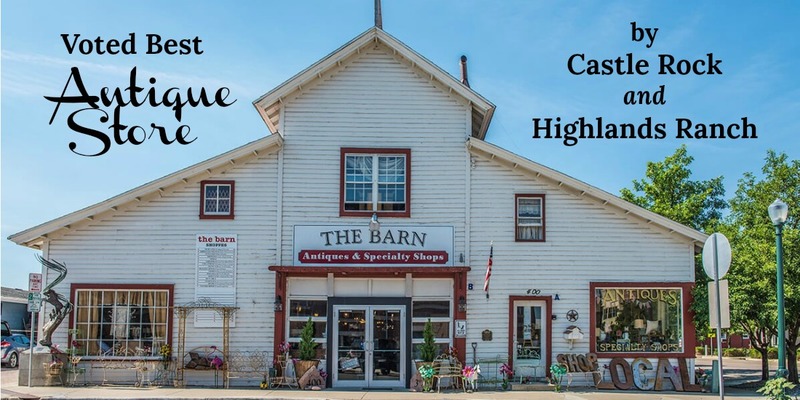 Anyway, just a little Barn history…I have lots more stories and lots more to say about life, antiques, relationships, the weather, recipes, shopping, etc. Check back with me!!! Glad you enjoyed my story! You are right…we have come full circle with the wine! More fun stuff to come…. That is very interesting about being able to sell wine on Sundays. That’s neat that you were able to research and find a loophole. Oh, Catherine, why doesn’t this surprise me? Count on you to bring the excitement of breaking Prohibition laws to the Barn! Was your Landlords name Steve? Hi Ashley! Congratulations and thank you for playing my game today! All you need to do at this point is come into The Barn and present a copy of this communication to anyone at the front counter…you will then receive your $20.00 gift card good for any shopping you would like to do in The Barn!